Located in downtown Pleasanton, Primrose Bakery is owned by Jessica Eiland, who is trained as a European cake and pastry chef. Her baked goods are known for their visual appeal as well as taste. 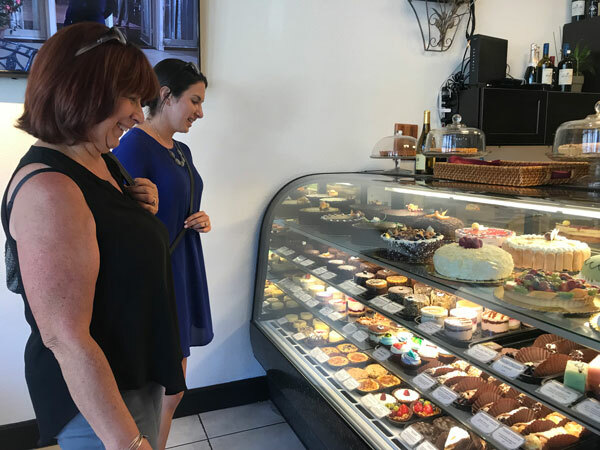 The bakery is open late Tuesday through Sunday for dessert, and readers who have a sweet tooth can enjoy mini cakes, cupcakes and a variety of different pastries and treats. Located in the Stoneridge Shopping Center, this family-friendly restaurant offers barbecue platters, burgers and sandwiches.Readers must agree with Buckhorn's motto, "Home of the Best Tri Tip on the Planet." Bob's Giant Burgers focuses on its fresh ingredients and love of the simple burger. Our readers love the retro joint on First Street, decked out with black-and-white photos on the walls, and its classic American burgers, reminiscent of the '50s. Using only organic and locally grown ingredients and paying careful attention to every detail of food preparation and event planning, Valley Catering has provided high-quality catering for all types of events since 1993. Readers have chosen Valley Catering as their favorite for the second straight year. Serving breakfast through lunch, the popular artisan cafe is committed to its use of fresh, seasonal, natural and organic ingredients in their menu. Located on Santa Rita Road, The Press draws customers in with its fresh squeezed juices and coffee made by the staff along with its sweet, eye-catching pastries. In addition to winning Best Burger, Bob's Giant Burgers also took the title for Best French Fries. This year our readers told us they like the variety of the fries available, such as sweet potato fries, chili cheese fries, and the classic french fries. Meadowlark returned to win the title of Best Ice Cream / Frozen Yogurt in its first year back after being in the Hall of Fame. Meadowlark's menu consists of chocolate, vanilla, strawberry, orange, swirl (a mixture of any flavor with vanilla) and its summer addition, pineapple. 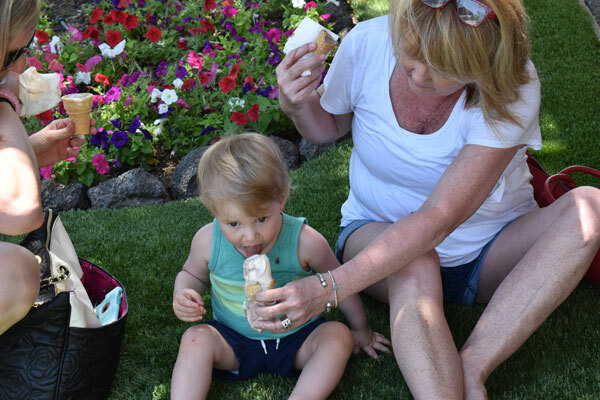 With these summer classic flavors and convenient location, Meadowlark is our readers' go-to spot for ice cream cravings. Located on Main Street, Nonni's Bistro took the title once again, with our readers admiring its brunch menu offering a variety of meal options made from scratch, including soups, main salads, burgers, sandwiches, vegetarian options, beverages and more. Blossom Vegan Restaurant, honored in this category for the third year in a row, prepares everything from scratch daily using only the freshest vegan ingredients. The welcoming environment, coupled with their diverse array of salads, soups, noodles, rice plates and clay pots have made Blossom Vegan a popular location for anyone seeking a meal, whether they're vegan or not.